I am so excited to finally announce my brand new and first ever cookbook that I created together with my husband Cole, who did all the photography. The book is called Ultimate Appetizer Ideabook. 225 Simple, All-Occasion Recipes. Whattttt? 225! Recipes! That we developed. We wrote. We made. We photographed. We ate. Every. Single. One. It was an immense, all-consuming, fun, and delicious project that we've been working on for a long time now. I couldn't be more excited to finally share the news now that it's in our hands and really real! 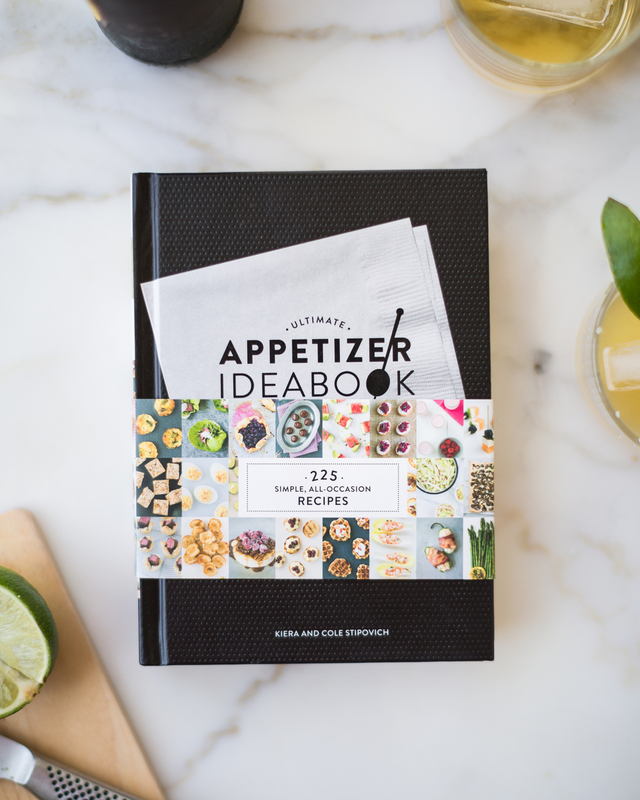 Ultimate Appetizer Ideabook will be released and on shelves wherever books are sold after September 13, 2016. Wherever books are sold!! That's a real thing they told us we could say! :) Oh, but don't worry about the wait. You can pre-order it right meow.